Bobbi Brown NEW Color Strips Palettes. If you have ever struggled with pairing up coordinating products, Bobbi has effortlessly made this easier for you. 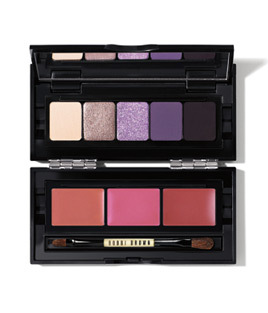 With the new Bobbi Brown Color Strips Palettes that just launched, you cannot go wrong when mixing or matching any of it. I think these are genius as each palette contains one bright eye shadow color, along with coordinating neutral shades - plus, 3 perfect shades of Pot Rouge cheek and lip colors. Take a look at all three. Each Color Strip Palette retails for $60.00 and are available at Bobbi Brown counters as well as online at BobbiBrown.com. I will be picking up the Aquamarine palette as soon as I can. A Miracle Mask from SK-II.